Check out this great profile of MAG-Net anchor Appalshop in the Daily Yonder, below is a snippet of the article and you can read the whole profile here. 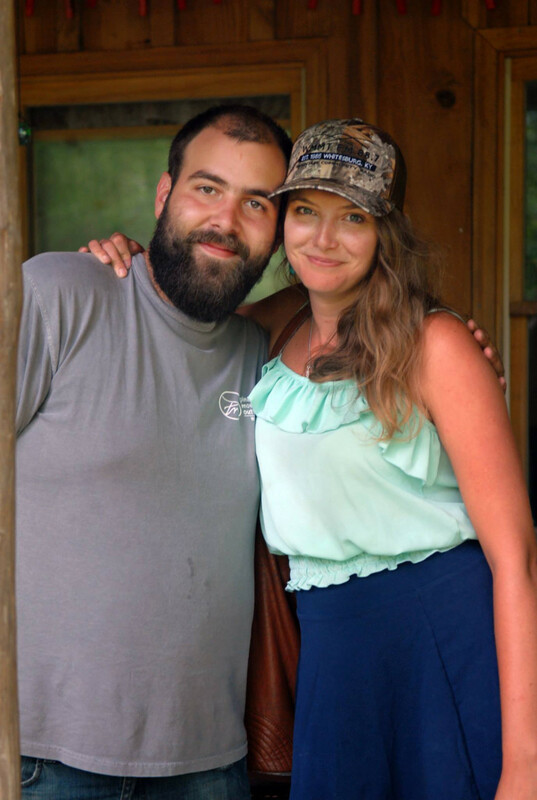 Josh May of Appalshop, left, and Savannah Barrett of Art of the Rural. The two creators of the Exchange, Art of the Rural‘s Savannah Barrett and Appalshop‘s Josh May, answered some questions for us recently. If you are, like me, not in the arts field, let the context clues guide you around some insider lingo. This is the burden of knowing super smart, creative people. Savannah: The Kentucky Rural-Urban Exchange began with a simple idea—we believe that people are more likely to do good work together when they have meaningful experiences in one another’s communities and are invested in their relationship to one another. Grounded in these values, the Exchange was launched two years ago by partner organizations Art of the Rural & Appalshop. Since then, we’ve assembled 75 next generation leaders, from the coalfields of Appalachia to the river towns of western Kentucky. Together, we are creating opportunities for Kentuckians to cultivate relationships across divides in order to build a more unified and equitable commonwealth for all. How did the idea of a rural/urban exchange come about? Josh: The story of the Kentucky Rural-Urban Exchange began in February 2014, early in Art of the Rural’s campaign for the Year of the Rural Arts (YORA). We began working with Appalshop staff to plan the first YORA residency, designed as an immersive experience for me to get to know Appalshop, Whitesburg, and the surrounding region through the lens of young people contributing to the economic transition [from a coal-based economy], and then to tell that story through an article and to connect other rural organizers to those folks through Art of the Rural. Savannah proposed a basic idea for an exchange project to explore our commonalities and differences across the state, which really resonated with the needs I was seeing for connecting work happening in eastern Kentucky to initiatives across the rest of the state, and so the idea quickly gained momentum. The backstory to this “shared recognition” was the result of growing up in Kentucky in the past 30years. Josh and I agreed that Kentucky has tremendous human, natural, and cultural resources and we are rich in opportunity, but we had both seen how real and imagined barriers between regions in the state had prevented these resources from being developed equitably. There are strong cultural associations to each of the state’s five regions, but their shared social and economic future is rarely acknowledged. The most significant of these historic cultural divides takes place along the borders between rural and urban Kentucky, which are essentially dependent on and decidedly ambivalent towards one another. At the same time, eastern Kentucky was experiencing significant economic transition and we recognized an unprecedented opportunity to make the case for community-based arts as a driving force in local economic development. The Kentucky Rural-Urban Exchange is a social practice project with a mission to bring together a diverse group our state’s most innovative young leaders. Our early conversations also reflected frustration about the ways the national creative placemaking field talked about and invested in rural regions. Although creative placemaking is rooted in rural community arts and community cultural development practice, it has largely developed into an urban-centric economic development strategy, and is largely based on site-specific projects. We developed the Kentucky Rural-Urban Exchange as a new approach to creative placemaking.